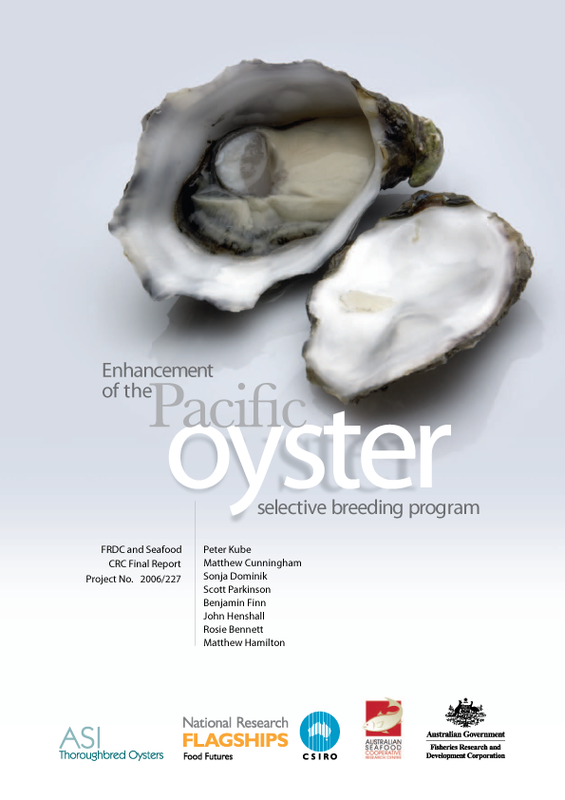 The Australian national Pacific Oyster selective breeding program commenced in 1998; however, in 2005, after six generations of breeding, limitations to the breeding strategy became apparent. These limitations included a lack of understanding of which genetic traits to select and led to a need to develop and implement a breeding strategy that increased genetic gains and maintained inbreeding at safe levels. The purpose of this project was to address these limitations. Computer simulations were used to evaluate 17 different breeding strategies, each with different population sizes, population structures, and selection strategies. The strategy that provided the best balance of genetic gains and inbreeding was selected. This strategy was estimated to deliver genetic gains in the breeding population of 8.5% per generation, or 4.25% per year whilst maintaining inbreeding at acceptable levels. A practical breeding plan was developed to allow the breeding company (ASI) to implement this strategy without increasing the resources required to operate the program. The strategy is now able to provide two year old commercial broodstock rather than four year old stock. This allows supply of better quality broodstock in much higher numbers. The strategy also provides far more commercial selection options, allowing hatcheries to combine desirable traits with flexibility. The four year time lag between the breeding population and commercial population has been eliminated, which will increase the genetic gains to growers. A Hatchery Reference Group has been formed giving the major industry partners, Shellfish Culture and Cameron of Tasmania, more input into all aspects of the program. The aim is to provide them with confidence to use higher numbers of breeding program derived spat, which are marketed as Thoroughbred Oysters. New systems and tools were developed to assist the implementation of the new strategy. Systems developed as part of this project have allowed the breeding program to improve the quality of commercial families produced and increase the profitability of oyster growers.